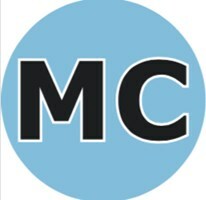 MC Commercial Cleaning - Cleaning Services based in Trull, Somerset. MC Commercial Cleaning are honest, reliable commercial cleaners based in Trull near Taunton we are family run small business sole trader, covering the Somerset, Dorset, Devon or Cornwall. With 10 years’ experience behind me before setting up on my own in December 2017. We are passionate about our work and friendly people and thrive to ensure that the customers are happy. My team and I always provide a very high standard of cleaning whether it's a kitchen deep clean, pub clean office clean, communal flats, village hall, high level cobweb removal, after build cleans, end of tenancy cleans or a one-off house clean. We do have 2 cleaning contracts of pubs in Taunton and always looking for more places to clean. We know that cleanliness is a big factor in a great first impression of your premises and especially for hygiene if you're in the food and hospitality sectors. Then please don’t hesitate to give me a call. We're a corporate partner of Ferne Animal Sanctuary in Chard as well and love spending time with the animals, we clean the kennels twice a year. Carpet Cleaning, Kitchen Deep Cleans Cleaning Supplies, Commercial Cleaning, Conservatory Cleaning, Decluttering, Disaster and Trauma Cleaning, Domestic Cleaning, Driveway Cleaning and Patio Cleaning, Emergency and Fire and Flood Cleaning, End of Tenancy and Move Cleaning, Hard Floor Cleaning, Office Cleaning, Steam Cleaning, Tile and Grout Cleaning, Window Cleaner. Kennels, Cattery. After clean build. End of tenancy cleans. House cleans. Residential cleans. Mobile home cleaning, motorhome cleaning.